3. 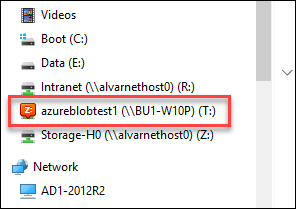 Select Azure Blob from the Storage Provider drop-down list. 5. The Azure account will be displayed in the list of accounts. 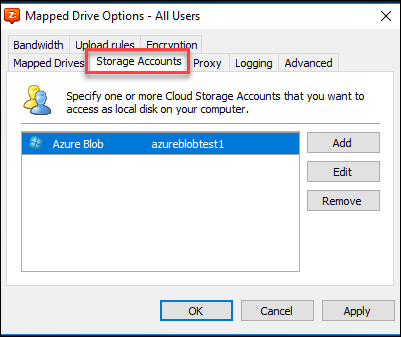 2. . From the Storage Account drop-down menu, select the Azure Blob Storage Account and specify the rest of the Azure drive settings. In the Path field, click Browse button to specify the full path to the Microsoft Azure Blob Storage container. 3. 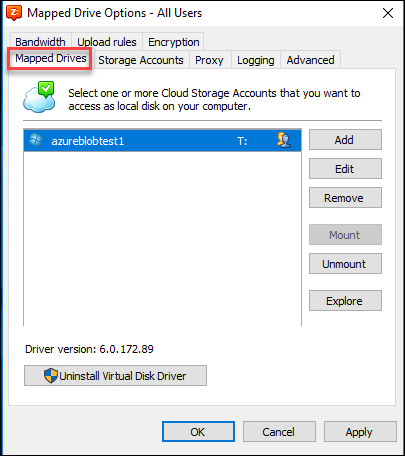 The Azure Blob Storage Account is now in the list of mounted drives. 4. 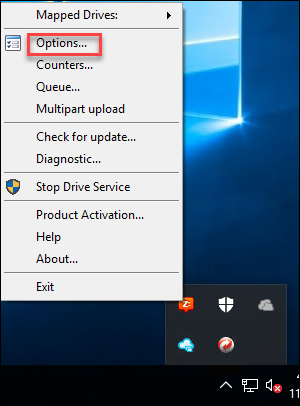 Reboot the computer. 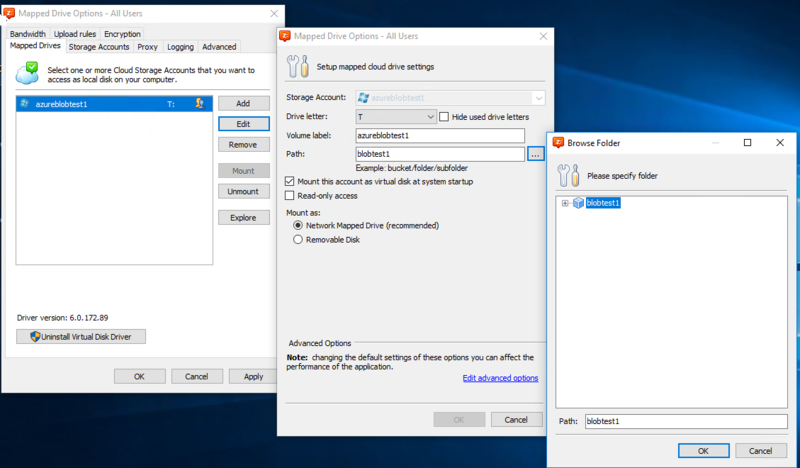 Access the Azure Blob Storage directly from Windows Explorer and other applications.